Home > Books > The Miamis! The Miamis has been a classroom and young people/adult reading book for two decades. It has been taught in fourth grade classrooms and enjoyed by those who want to experience the feel of Miami Indian storytelling, culture, tradition and history. Asondaki, a thirteen-year-old boy, sits by the campfire at Kekionga with elders and friends from the settlement near Ft. Wayne. There are stories of LittleTurtle, William Wells, Godfroy and traditions like the moon-in-the-wild. Imaginative, full of color, the stories in this book teach while they hold attention. Prepared with the help of the former Miami Leader Laura Sider. About Nancy B. Baxter (Author) : Nancy B. Baxter is a published author of children's books. 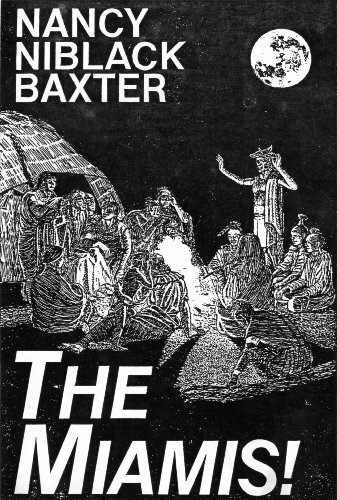 Published credits of Nancy B. Baxter include The Miamis! (Hoosier Heritage Series) and The Movers: The Heartland Chronicles.